Hello my friends! Happy Wednesday! Today I am offering a copy of Dear Carolina, by Kristy Woodson Harvey. As you may remember, I posted a review last week. Let’s start with this French farmhouse…everything about it says “relax, stay awhile” to me. I’d select the chair with the ottoman for a reading break, but that’s just me. There’s nothing like a corner library to invite one to sit and read awhile. This one is a favorite for its display, art-lighting and books. Is that a fire in the fireplace? I sometimes wish I lived in a colder climate where a fireplace would be required daily…like England, maybe? 🙂 This is a beautiful American Farmhouse featured some time ago by Joni over at Cote de Texas. Now this is pure luxury. Can you imagine the prunish skin you’d have after a relaxing bath and a good book here? Still, such an elegant place to bathe and read! Since summer vacation is on the horizon, the one time when most of us can relax and catch up with one of the twenty books you’ve put on your list of “must read”. I feel my blood pressure going down just looking at the image! I can’t quite resist the allure of a room with a fire in the grate. I see myself settling in with a cup of tea and my current book. This time of year, once the weather entices you to be outdoors, this setting is lush and green and fun for unwinding with your book. Now for the fun part. I have a copy of Dear Carolina to giveaway. All you have to do is leave a comment and tell me your favorite spot to read. Indoors, outdoors, at the beach, in a mountain cabin, whatever. Mr. B. will be blindfolded and randomly select a winner from names in a basket. I’ll announce the winner next week. Good luck, Dear Carolina is a wonderful story and I think you’ll love it. Now I can’t wait for Kristy’s second novel! My favorite room to read is in my seldom used dining room. It has plenty of light and it overlooks my backyard. The breeze, birds and lapping water sounds are wonderful accompaniments to a good read on our Canadian wilderness cabin’s screened porch. It’s pure bliss. ‘Lakeside’. Very near Lake Michigan. magazines, along with a good cup of coffee, tea, etc. Oh my goodness, I love a cottage and especially one with history. You’ve described a dream location for me. As you may have gathered from my blog, I’m a native Southern California who has always longed to live where there might be seasons. I know that your ‘neck of the woods’ has experienced some tough weather in the recent winters and I don’t want to overly romanticize the difficulty of excessive cold and snow but I do love the idea of the crisp, cool air of fall and winter. Thank you for stopping by, good luck with the drawing. The front porch on a Saturday afternoon… when I SHOULD be weeding, or doing laundry, or vacuuming!! I am drooling over the library with the giant crown molding!! And the pillars!! And the wainscotting!! I love to read in bed. I love to curl up with a throw over me. In the summer I love to read outdoors on a lounge chair. Hi Karen, My favorite spot to read is on the chaise on the patio, when everyone else is gone and can’t interrupt me. 🙂 That’s where I’ve been with Dear Carolina this week. I love that French farmhouse- it’s just beautiful, but I’d take any of those lovely reading spots in a heartbeat! I love to sit outside on my side porch,it is very Italian looking,you feel like you’re in Italy,great place to sit or lie down with a great book. I find myself increasingly reading on the run nowadays due to lack of quality downtime. Reading a good book is a luxury to be sure, and when I do get that opportunity, I plonk myself in the drawing room with a cup of tea and pick a book from my little mahogany canterbury that is located by my chair. We have a small library but I enjoy sitting in the drawing room more. I feel sorry for those gorgeous books next to that bath tub. They must take quite a beating from the humidity of the bathroom. Most of my reading is done on the run but when I have the time, I like to curl up by the fireplace with a glass of wine and enjoy the beauty of the forest outside. Sometimes I don’t get much reading done with such lovely distractions but it is truly relaxing and restorative. Honestly I can read anywhere Karen. I have this weird ability to tune out the world when I’m engrossed in a good book. My husband is awed by my reading trance haha but I think it’s because I was raised in a tiny little house with three loud brothers and I was always with a book. I love to be somewhere that I can put up my feet and settle in for a good read. Whether it’s at home, in the mountains, or at the beach, I like to be able to see outside and take a break from reading sometimes. I guess my absolute favorite would be on a screened porch at a beach front house. I’m so happy you stopped by. Good luck with the drawing, Dear Carolina is a heartwarming story. It just occured to me to try replying to your new-post email notification… tell me if you get this? I really enjoyed her book and these images would be perfect for an area to read. I would like to read in any of those locations you showed us! My favorite spot in my Savannah home is on a BIG couch in the family room where I can easily snuggle with my feet up, and plenty of room for my Cavaliers to snuggle up too… can read for hours! I just found your blog and am interested in the book Dear Caroline. I like to read on the back porch where it’s light and bright. I’m so happy you stopped by. Dear Carolina is a wonderful book, good luck with the drawing. 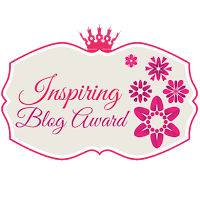 I just stopped by to see what gorgeousness I had missed on your fabulous blog these past few days and saw… THIS! How amazing!! Thank you, Karen! I can’t wait to see who the winner is. Choose wisely, Mr. B 😉 I love these reading nooks. So lovely. My favorite place to read is in the windowseat on the third floor of our Beaufort house. It is warm and cozy and has a fabulous view! Thanks for all your support, Ms. Karen. You are a true friend. Don’t forget to enter our $500 Shop Design Chic giveaway — you have already done everything to enter times about three!! Several readers have lakefront places. I’m jealous, that would be the most picturesque spot to read. Thanks for stopping by, good luck with the drawing. P.S. I love the spelling of your name.